Photographs of Cuba and Old Havana. With Classic American cars. 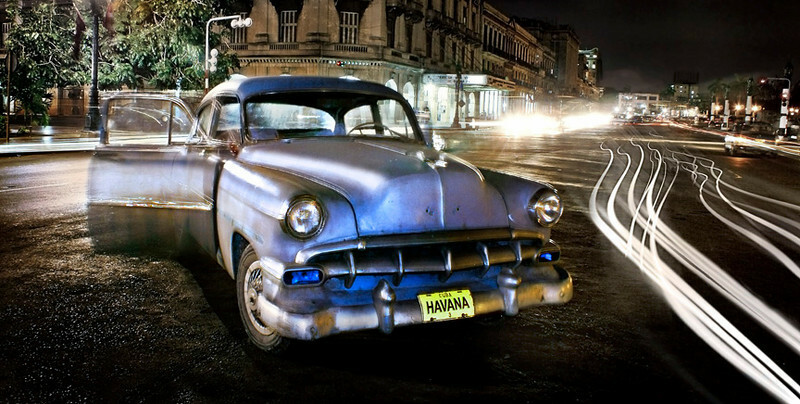 Old American Car at Old Havana, Cuba. Timed exposure taken at night with traffic light trails.